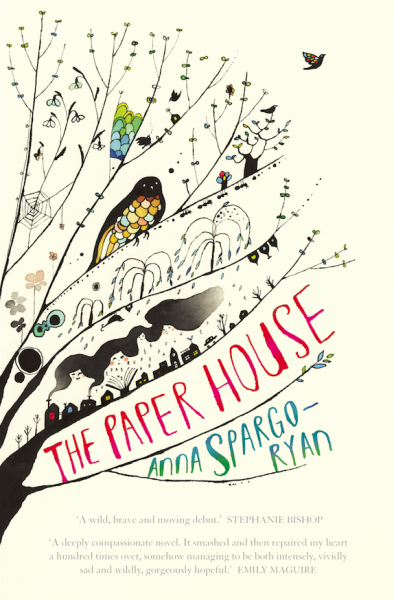 One of the most anticipated Australian novels of 2016 was The Paper House; the debut offering from Melbourne based writer Anna Spargo-Ryan. 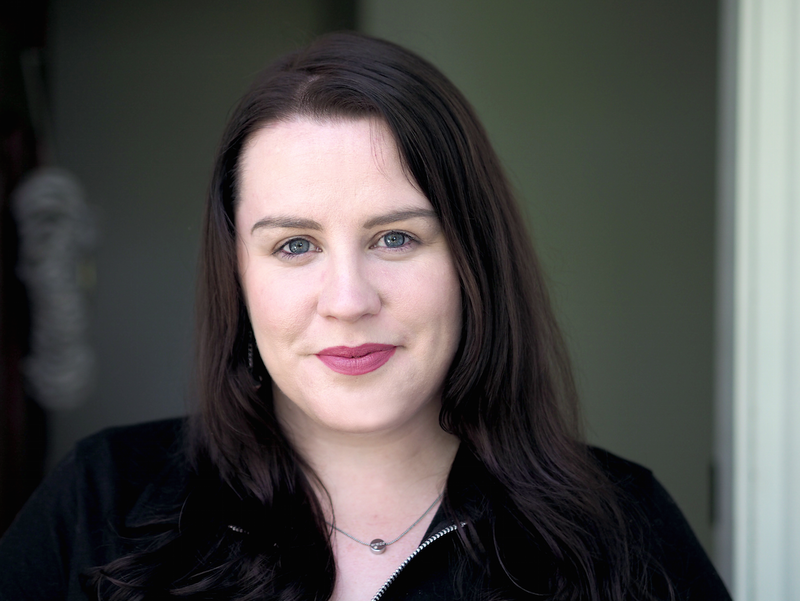 Anna’s previous work – both fiction and nonfiction – has been published by Black Inc., The Guardian, Overland, Kill Your Darlings, Seizure, Daily Life, The Age, the ABC and others. 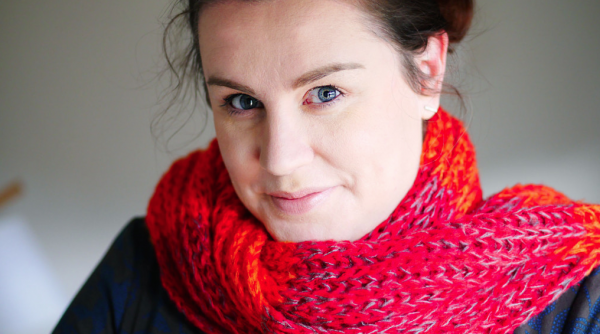 When Anna isn’t writing she’s a web developer and digital strategist. She lives in Melbourne with her people and her cat Norman, who has his own Twitter account here. The Paper House, which was published by Picador in May, is one of the Tasmanian Writers’ Centre recommended reads for this month and to celebrate that we are thrilled to publish this Q&A with Anna. We’ll start with the most important question. How is Norman coping with all the attention now that he’s companion to such a famous writerly type? Norman copes poorly with most things, but he is a good writing companion. I think, if anything, his ego has been boosted by his being required to sit next to very serious writing work. I’ve been very lucky this year to have solid blocks of time (months) in which to write, and that’s meant I can be more target-focused. Five-hundred words is a good daily target for me, and small enough that I often write more than that and then have the added benefit of feeling very smug. I write in different places depending on the stage of the writing, but I have a great study nook at home and do a lot of writing there and at my kitchen table. I edited most of The Paper House at my local café. Poached eggs are a very important part of my process. Maybe the most important part. I’ll work on more than one thing at a time, but at different stages – writing one, editing another. I have to work to deadline or I don’t work at all. If I don’t have a deadline, I self-impose one. That’s part of why Nanowrimo works so well for me (besides pandering to my extremely competitive nature). Will you do NaNoWriMo again this year? I will do NaNoWriMo every year until my hands fall off. You’ve written a lot about mental illness, both non-fiction pieces and in The Paper House. The writing is beautiful and often very illuminating – do you think that’s a theme you’ll continue to deal with in your writing, or are you starting to feel like you’ve said all you can? Thank you for saying so. Sometimes I feel like I’ve said everything I can, and then I read what other people write about it and think, oh yes, I have more to contribute to this conversation. It’s very important to me to write about mental illness in a way that adds something new, and to remember that everyone is at a different stage of understanding their illness. I don’t want to keep writing the same things about being sad and anxious if they stop being useful or relatable. I don’t ever want to be spouting mental illness platitudes. Mental illness affects just about everyone – 1 in 4 people in Australia will have a mental illness at some point in their lives, but it also has an impact on the people around them, on the healthcare system, on the economy. So I guess statistically there will always be at least one person in my stories who is dealing with this, and it as important to me to include it as it is to represent other kinds of diversity, whether that’s race, sexuality, gender, ability, or something else. And as a person who struggles with mental illness, I think it will always inform my writing in one way or another. Although The Paper House deals with some quite dark issues, there are some recurring themes that bring some warmth and comfort to the story too. Gardening and food are two obvious examples. Is that drawing on your own experience of ways you can self-care on difficult days? Definitely. This was part of giving the story perspective, for me. I didn’t want it to wallow in its sadness. Having a mental illness – or experiencing a great loss – can be many things, so it’s not even just about the self-care on difficult days, but also about the fact that a mental illness has many facets. Experiences aren’t universal, but I still laugh a lot, and often. I can have a sense of humour about life and myself some of the time. And grief can be boring and even hopeful. Human emotions are complex and I wanted to speak about them in a truthful way. You mentioned in a KYD article that you wrote 200,000 words, of which just 73,000 ended up in the book. I think most writers starting out will be slightly horrified to read that. Can you tell us what happened to the 127,000 other words and whether you’ll be able to recycle them into other works, or if they’re now hiding in a drawer somewhere? So, firstly, it wasn’t a 200,000-word story that became a 73,000-word story. It was always a slim novel, but it did go through quite a few iterations. I half-wrote two versions but never finished them. Then I did a number of structural edits, during which I added and took out whole characters and places and ideas – for example, Heather’s dad Bruce wasn’t added until the third version of the story. I had three women, all called Barbara, who ended up on the cutting-room floor. Almost all of the extraneous words are unusable on their own, but maybe I can release a director’s cut with all the deleted scenes? What’s been most interesting to me has been the way the book is almost unrecognisable as its first draft, but the story is the same. Nearly everything about it has changed, but if you read both of them, you’d know they were telling exactly the same story. The language in The Paper House is a pleasure to read, and several reviewers have referred to it as ‘poetic’. Do you write or read a lot of poetry? Thank you! I don’t read very much poetry at all, but I do read a lot of poetic writing. My favourite books are the ones that use language to drive a story as much as they do plot. I will persevere with a beautifully-written bad story, but not a great story badly written (though both things being great is obviously preferable). Doing creative things with language is my favourite thing about writing, and it’s especially satisfying when that language also moves or resonates with readers. I’ve also found poetic language to be very useful in writing about mental illness. The illnesses themselves can be quite abstract and not always easy to convey. Using more concrete language – and especially metaphor and analogy and euphemism, and sometimes almost folklore – to describe them has, I think, made them more accessible to people overall. I have a mentor and an agent, and am working towards a formal writing qualification. I asked Allison Tait to be my mentor about three years ago, and she must have been very tired because she said yes and then fielded hundreds of hours of questions from me. I would never have written a book without her. There is nothing that compares to the encouragement and wisdom and insight of a more experienced writer. Having an agent in similar in some ways – they know the things about writing that you might not, like contract law and how to manage relationships with publishers and whether the things you’re writing are too awful to ever see the light of day. My agent has an editorial background, so she’s able to offer insight into the writing itself, as well as managing all of the business side. I will include both of these people in my will. I’m currently a postgrad creative writing student. Mostly, I just wanted an excuse to do more reading and writing outside of my comfort zone, but I’d also like to teach writing, and this is a step towards that. I’m not sure how much value they have broadly; everyone’s experience seems to be different, and I guess it depends a lot on why you’re doing it. Some people definitely warned me against doing it, that it might “unteach” me how to write. It’s definitely made me more aware of the mechanics, but it’s also been very interesting and a great motivator. Tell us about your experience about writing with a big publisher and how it compared with the work you’d done previously with online publications and smaller lit mags. Structural editing is an incredible process. Writing a book is one thing, but being able to conceive of the whole book at once is quite another. I would see things in my book that I didn’t like, but not be able to pinpoint why or how to fix it. Editors are like book engineers. They’re problem solvers. They could identify where the faulty parts were and what I needed to do to replace them. They definitely would have removed this terrible analogy, for example. It wasn’t completely dissimilar to working on smaller pieces with other publishers. The process was longer and more complicated, but the crux of it was the same: find the issues, chat about how to fix them, resubmit. Probably the most important thing I’ve learned in working with publishers is the value of constructive criticism. It is a gift. I’ve become very un-precious about my writing and will lap up any kind of useful feedback offered to me and see if I can find application for it (this is not to be confused with outright meaningless meanness, which is not helpful or useful and should be ignored). I just finished Zoe Morrison’s Music and Freedom and adored it. It was like a comfy blanket, even though the subject matter is sometimes distressing and even vulgar. My favourite writers are women like Zadie Smith and Joan Didion and Helen Garner. They do a thing I hope to one day be excellent at, which is to make the ordinary extraordinary. You’re very active on social media – do you think that’s necessary for writers? No, I don’t think it’s necessary, but I do think it’s another way to grow audience and readership, as long as you do it in a valuable way. My background is in social media and digital strategy, so being active in social media is necessary for my work, and that’s why I started using it. But writers should never jump on to Facebook or Twitter and just post links to buy their books. That’s worse than doing nothing, in my opinion. It’s about building and maintaining genuine relationships with people (and not “corporate” genuine, which is pretending to be genuine so they buy your things) and hoping that will one day mean they might support your new novel, but not cracking it if they don’t. Social media should be like any other community group, whether it’s friendships or workshops or sporting teams or coin collectors or bat hunters – find your people, talk to them, give back. Look, pretty much everything about it has been scary. It’s a deeply personal story with plenty of autobiographical “influences”, and it was terrifying to open that up to critique. But I have been extremely fortunate with wonderful reviews from people who really got what I was trying to do, and that has definitely made it easier to deal with my anxiety about it. Of everything, I’ve been most relieved that readers haven’t found it dreary. It is a book with light and shade, even though it’s about loss, but in the weeks leading up to its release I was just running around screaming WHY DID I WRITE SUCH A SAD BOOK? Now it doesn’t feel like my book at all. People told me that would happen, that I’d lose ownership of it and it would belong to the reader instead, but I didn’t know what they meant. A French literary critic called Roland Barthes wrote about the “death of the author” – that writing and the writer are unrelated and the author’s context doesn’t actually matter a jot to the interpretation of the text – and that’s really what I’ve come to realise. It’s not mine and my intentions in writing it aren’t sold along with the book. You can’t sit next to a reader and explain why you made the creative choices you did. He was fifteen. No one had let him go to war, even less so after his two brothers went AWOL, and his father was dead by then anyway because that’s what men did during the depression, kept pistols locked in top drawers. Not that it mattered for him; he was swinging, and Cedric’s mother screamed so loudly the neighbours came and then they screamed, too. One of those neighbours was Eirlys Jones, and she stood in the doorway and stared at the man attached to the ceiling, maintaining the tightest grip on her handful of carrot cake. Cedric was in love. His father dripped and cracked blue-lipped above him but the girl inside the architrave had a face like someone had kissed it right into being. She ate her carrot cake, shoved it right into the back corners of her mouth, then turned and walked out the door and vomited in his mother’s garden. Not because of the dead man chandelier but because there, in the front room, was an ebony Steinway piano. What can we do to persuade you to come down to Tasmania to do a book event? Give me all the cheese you have. Meantime you can say hello to Anna over at her blog, on Twitter or on Facebook. The Paper House is available where all good books are sold. We also have one signed copy up for grabs in our August competition: just email ruth@taswriters.org by Tuesday August 30th if you’d like to be in the draw.